Ninjak is back, not that he had gone away for very long. 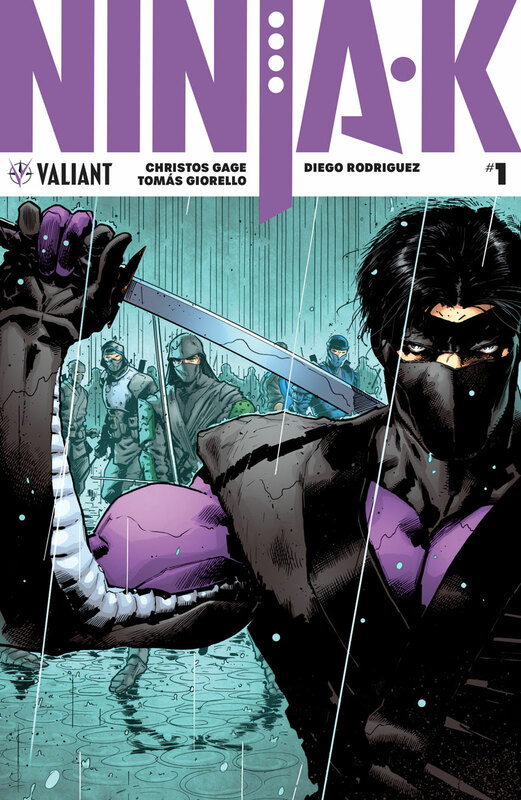 Christos Gage and Tomas Giorello have teamed up to take the reins from long time writer Matt Kindt for a brand new series that seeks to provide answers to the entire Ninja program. The story begins with Ninja-D narrating the history of the program to Ninjak, leading up to the present after he has been murdered. MI-6 is already on the case, but Ninjak decides to take matters in his own hands and investigate things for himself. Gage brings a slightly different voice to Colin’s character which can sound slightly off compared to how Kindt has been writing him for the last several years. Yet it suits him perfectly so longtime fans have nothing to worry about and first time readers should slide right in. The setup for the story is on point, but Giorello’s spectacular action scenes bring everything to life and shows just how deadly Ninjak really is. The entire issue is a great jumping on point for any reader and has us more excited about Ninjak’s direction than we have been since the very start of his last series.